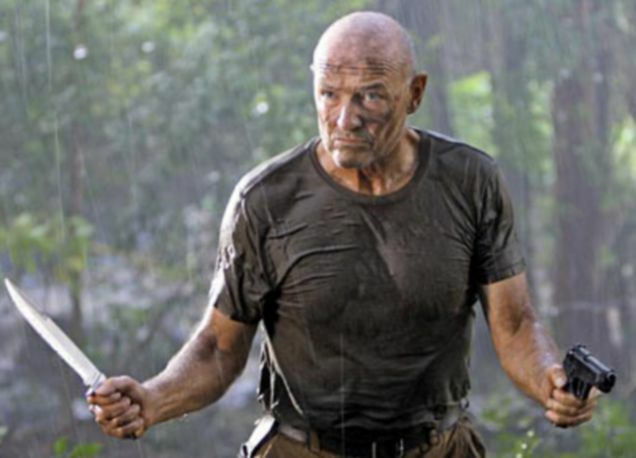 The major event of the week, as well as the entire season, was the finale of Lost. I reviewed the episode here and having more time to reflect upon it (and watch portions again) I appreciate its greatness even more. Some have been dissatisfied that it did not explain every mystery during the series but genre shows which develop a complex mythology rarely if ever do. At least Lost was consistent once you accept the underlying premises. You do have to accept the rules which Jacob and the Man in Black operated under without a good explanation, but the conclusion of the series remained true to what they had set up. Even if not explicitly discussed most of the mysteries can be explained by knowing how Jacob and the MIB were operating. Much can be understood by the MIB’s actions, included taking on the appearance of dead people in order to influence others on the island–most if not all of whom were brought by Jacob in his search for candidates to kill his brother and replace him as guardian of the island. Between the actions of the MIB and the results of Dharma’s experiments, much of what occurred can be explained. Most likely other events from early on were never answered as the show went in slightly different directions than intended at the time, possibly due to events beyond their control. I think that fans were most frustrated by the lack of a good resolution to Walt’s story. The first season suggested that Walt had some clairvoyant powers or that there was some additional connection between him and the island. We never received an explanation because Walt grew too quickly for the time line of the story on the island, but perhaps they could have provided an explanation at a later date using the adult Walt. I was somewhat disappointed to find that the sideways sequences took place after everyone had died after having spent the season trying to figure out an explanation for them based upon the assumption that the bomb had worked. We were both mislead into thinking and this was an alternate reality in which Oceanic 815 had not crashed on the island, such as Juliet saying “it worked” before dying, as well as being given hints that it really was about the characters moving on. 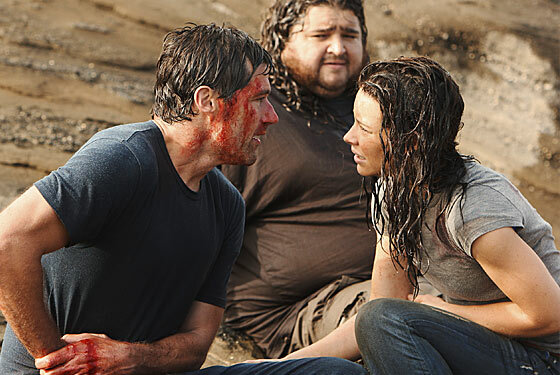 The theme of moving on has been raised in previous episodes, such as Michael explaining that the whispers were the people who were trapped on the island because they could not move on. Kate was talking to Jack about moving on, even if leaving it vague enough for both Jack and the viewers to have time to become comfortable with this conclusion. The episode also suggested this when Hurley told Ben that he had been a good number two, suggesting that we were not dealing with a time line based upon Oceanic 815 not crashing but that this happened after events we had not seen occurred. By the time Jack realized he had died and stated so it was clear that this is what Jack would say. The story was more about the characters than explaining every mystery, with Jack being the most important character. The story on earth ended with Jack’s death. We know the stories of others who died before Jack but we do not know what happened to those who died after him. Kate, Sawyer, Claire, Miles, Frank and Richard escaped in the plane. They could have crashed and died five minutes after Jack died but I’d prefer to believe they lived long happy lives back home before dying. Desmond was left injured but with Hurley predicting he’d be okay. We don’t know if he managed to return home and to Penny but perhaps he was assisted in doing so by Hurley. We know that Ben did remain to be a good number two to Hurley and reportedly we will find out more of what happened in a epilogue appearing on the DVD set to be released August 24. The epilogue tells what happened after Hurley became guardian of the island. This would leave things open to reveal tidbits as to what the other surviving people were doing considering that before him Jacob had no trouble keeping an eye on his candidates. This would also provide an opportunity to explain other mysteries. On a podcast Jorge Garcia did reveal that the epilogue will give an explanation for the “Hurleybird” which said Hurley’s name during the series. Also on television this week we say the finale of 24 with Jack on the run, but still alive to return for a movie version. Beyond that it was a fairly mediocre ending to a mediocre season. After the main terrorist threat was eliminated this season concluded with Jack on a rampage going after those responsible, including the current president. It ended too easily as the president suddenly realized she was wrong, decided to turn herself in, but gave time for Jack to run. FlashForward also had a series finale but it was written to be the season as opposed to series finale. The series was written as a five year arc and earlier the producers had stated it would take at least two years to explain the events around the first flash forward.The episode ended with another flash forward, Janet getting kidnapped, and an older Charlie being told someone (presumably her father) was found and still alive. This served as an excellent cliff hanger but was a poor way to end the series. Unless someone else picks up the show, which is not likely, I hope that they at least provide an outline of what was to occur after this cliff hanger. The Israeli raid on relief supplies going to Gaza was certainly a bad move, both on humanitarian grounds and in terms of public relations. It is a shame that so many people are framing the events in Israel and Gaza as being for or against Israel. It is It is possible to understand why Israel has gone to extreme measures,seeing its survival at stake, and to support Israel’s survival, while still opposing some of Israel’s actions. Supporting Israel”s safety and continued existence is like supporting the United States in defending ourselves against terrorism while also opposing the Iraq War. During the war the question wasn’t one of being for or against the United States (even if many right wingers tried to frame it this way). Just as American liberals opposed George Bush’s acts in the so-called “war on terror” while still supporting the United States, many American liberals also support Israel while opposing many of its actions, especially when led by those on the far right such as Benjamin Netanyahu. The absence of such definitional memories has contributed to a new analysis of the Israeli situation. Today, Israel is far, far, far more militarily powerful than any of its assailants. None of the region’s armies would dare face the Jewish state on the battlefield, and in the event that they tried, they would be slaughtered. Further stacking the deck is America’s steadfast support of Israel. Any serious threat would trigger an immediate defense by the most powerful army the world has ever known. In effect, Israel’s not only the strongest power in the region, but it has the Justice League on speed dial. That is not to say that the Jewish state is not under threat. Conventional attacks pose no danger, but one terrorist group with one nuclear weapon and one good plan could do horrible damage to the small, dense country. That threat, however, is fundamentally a danger born of the Arab world’s hatred of Israel. It follows, then, that hastening the peace that will begin to ease that hatred makes Israel safer. Exacerbating the tensions that feed it, conversely, only makes the threat more severe. But Israel has to walk with care. Previous generations might have believed in “Israel, right or wrong.” Their replacements may not be as willing to sacrifice moral perspective in service of tribal allegiance. And much more importantly than that, every day that relations with the Arab world don’t improve — or, more to the point, continue to worsen — is another day that Israel remains under threat. For those of us who worry about the state’s safety and believe the primary threat is terrorism combined with more potent weaponry, the continuation of current trends is a terrifying thought. The Israeli right wing has to learn how their actions are counterproductive to the long term security of their country–much like the actions of the American right wing are counterproductive to our long term security.